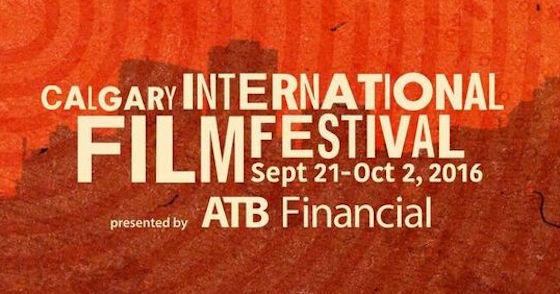 This month, the Calgary International Film Festival will bring another massive batch of flicks to Alberta audiences. Organizers had already delivered the goods with some early announcements, and now they've let loose the full lineup in all of its overwhelming glory. There are plenty of hotly tipped headliners at the fest, including Jordan Roberts' Burn Your Maps, Mick Jackson's Denial, Paul Verhoeven's Elle, Pedro Almodóvar's Julieta, Kenneth Lonergan's Manchester by the Sea, Jim Jarmusch's Paterson and Asghar Farhadi's The Salesman. The New American Cinema series has also been rounded out with films like Sophia Takal's Always Shine, Gregori Viens' And Punching the Clown, Kris Avedisian's Donald Cried, Matthew Newton's From Nowhere, Michael Curtis Johnson's Hunky Dory, Josh Locy's Hunter Gatherer, Bernardo Britto's Jacqueline, Bobby Miller's The Master Cleanse, Logan Kibens' Operator, Tom E. Brown's Pushing Dead and Clay Liford's Slash. As if that weren't enough, the World Cinema series includes screenings of Tobias Nölle's Aloys, Mahmoud Sabbagh's Barakah Meets Barakah, Arturo Ripstein's Bleak Street, Andreas Öhman's Eternal Summer, Kôji Fukada's Harmonium, Tamer El Said's In the Last Days of the City, Ruchika Oberoi's Island City, Anita Rocha Da Silveira's Kill Me Please, Ruxandra Zenide's The Miracle of Tekir, Pablo Larraín's Neruda, Johnny Ma's Old Stone, Marc Lahore's The Open, Oliver Assayas' Personal Shopper, Francisco Varone's Road to La Paz, Argyris Papadimitropoulos' Suntan, Maren Ade's Toni Erdmann, Adam Smith's Trespass Against Us and Majid Barzegar's A Very Ordinary Citizen. We're really just scratching the surface here, as CIFF also includes its previously announced Canadian film lineup, a robust shorts package, plenty of documentaries and special gala events. You'll find the full lineup, as well as ticketing information, here.